Bill Jewell was born in Bangor, Maine several years ago. At age three, his family relocated to Portland, Maine where he lived until 1983. His interest in creativity began with drawing detailed birds out of an old book that his favorite Aunt gifted him as a child. From there he became intrigued with the unique color transitions and silhouettes at sunset and sunrise which were inspiration for his earliest watercolor paintings. They are still one of his preferred subject matters to paint. When he applied for college at Northeastern University in Boston, he got accepted as a Geology major. Upon acceptance he thought, how was he going to make a career out of rocks & minerals? He then switched his major to Medical studies, which he eventually also decided, wasn't his forte. Back to the drawing board. Jewell paints with Watercolor, Oil, and Acrylic, completely self-taught. His fascination with rocks, minerals and Geology has led him to the process of making many of his own painting pigments from the numerous rocks and minerals he has collected over the past decade plus+. On virtually every one of his frequent crossxcountry excursions, he will frequently pull over and break out his rock hammer to chip away at some intriguing layer of colored earth to later process into pigment. 'They definitely add an amazing effect that just plain paint out of a tube simply can't compete with. The crystalline structure of the finely ground minerals is the intrinsic element of this process.' Frequently people will curiously ask, "You can make paint out of a rock, or mineral?" His response is always the same, 'Yes, the Cave Painters did that about 40,000 years ago'. Recently, a cave in South Africa was discovered with Petroglyphs dating back 100,000 years! Bill Jewell is currently strategizing a series of workshops to instruct others on how to make their own pigments from local rocks and minerals, then paint with them. Virginia City, Nevada, will probably be the first place of occurrence. As soon as exact details are arranged they will be posted here on his website. Please stay tuned, [especially if you play guitar]! Bring it, or any instrument, with you. 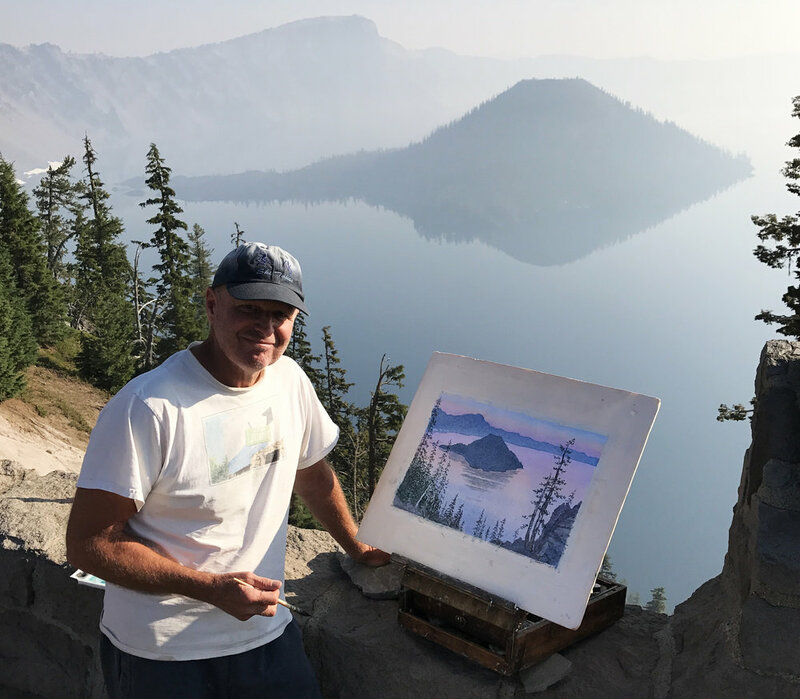 Bill's lifelong love of Skiing has also led him to many amazing Ski Resorts & Areas around America, where he has lived around and painted for years. 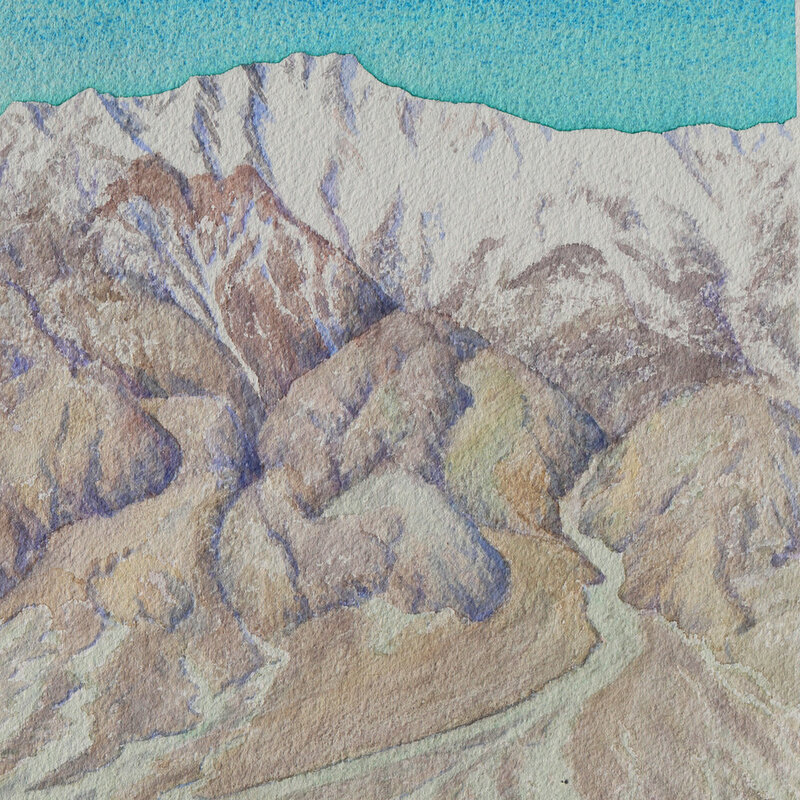 Many of his Ski Area paintings have been published into prints, posters, and now, giclees. He is currently working with numerous Ski Areas & Resorts nationwide to create a fresh new set of Ski images. Stay tuned, especially if you're a pair of Skis. 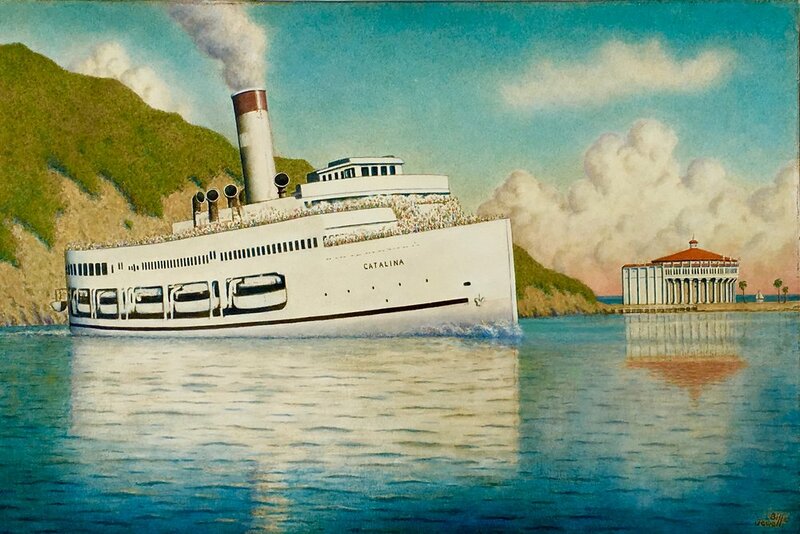 Also, Commission paintings of virtually anything are generally of consideration in Watercolor, Oil, or Acrylic. Jewell is always up for a new challenge, or another old one. He can work from images that you provide him.